Jamal Khashoggi disappeared entering Saudi Arabia’s consulate in Istanbul on 2 October. TWO WEEKS AFTER he disappeared, The Washington Post yesterday published what it said appears to be Jamal Khashoggi’s final column, in which the missing Saudi journalist writes of the importance of a free press in the Arab world. Such a forum is currently lacking, says Khashoggi, a Post contributor and US resident who disappeared entering Saudi Arabia’s consulate in Istanbul on 2 October. “The Arab world is facing its own version of an Iron Curtain, imposed not by external actors but through domestic forces vying for power,” he writes. “The Arab world needs a modern version of the old transnational media so citizens can be informed about global events. More important, we need to provide a platform for Arab voices,” Khashoggi writes. The ultimate fate of Khashoggi – whose writings have been critical of powerful Saudi Crown Prince Mohammed bin Salman – is still unknown, but leaks by anonymous Turkish officials have painted a picture of him allegedly meeting a grisly demise in the consulate at the hands of Saudi agents. Saudi Arabia has denied to the United States having knowledge of what happened at the consulate. 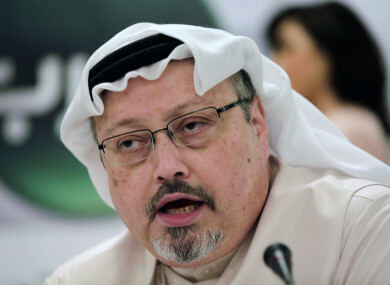 In the introduction to Khashoggi’s column – which was accompanied by a photo of the smiling writer – the Post’s Global Opinions editor Karen Attiah said the newspaper held off on publishing it in the hopes that he would return. “Now I have to accept: That is not going to happen. This is the last piece of his I will edit for The Post,” Attiah wrote. Email “US newspaper publishes 'last piece' by missing Saudi journalist”. Feedback on “US newspaper publishes 'last piece' by missing Saudi journalist”.